Richland Creek Hunter Series. 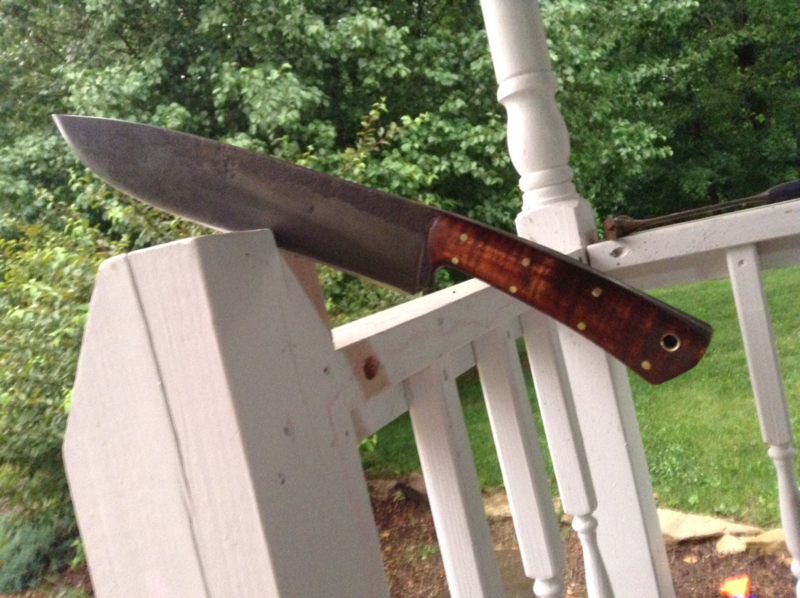 Pictured is 1080 steel with osage orange. First in a series. I really love working with natural handle material because of the feel they have as well as their natural beauty, local and exotic hardwoods and burls as well as Elk and whitetail antler. 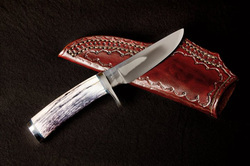 Micarta and other synthetic materials are sometimes used on severe duty knives. 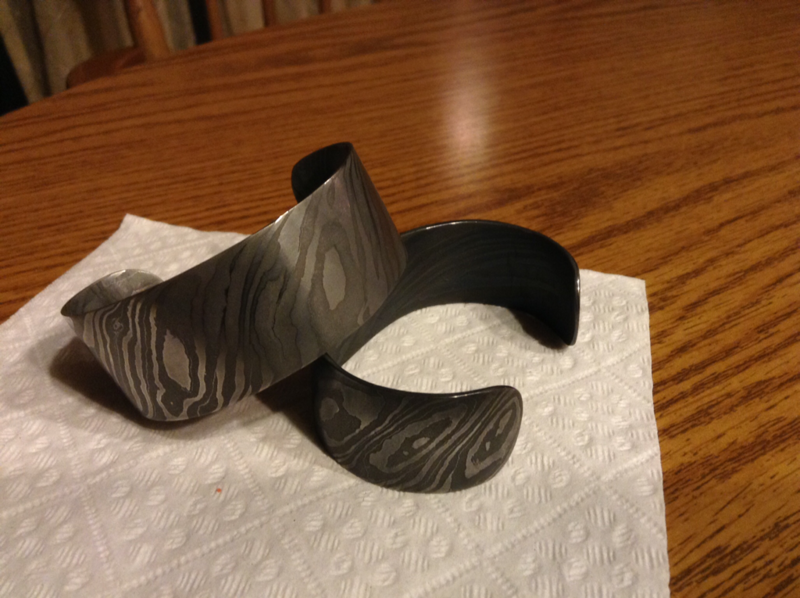 Knife finishes can be mirror polished,hand sanded to a satin finish,blued or a scotch-brite satin finsh. 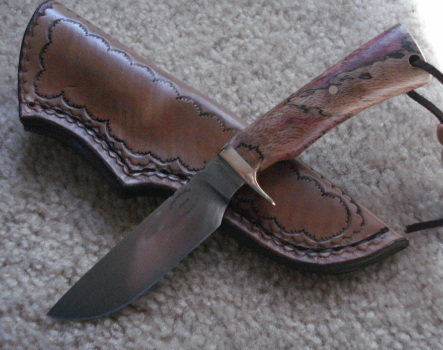 I often acid etch my blades to reveal a "hamon" or hardening line. Leave your comments and questions here,or just sign as guest.